How to show images from folder into Picture box? 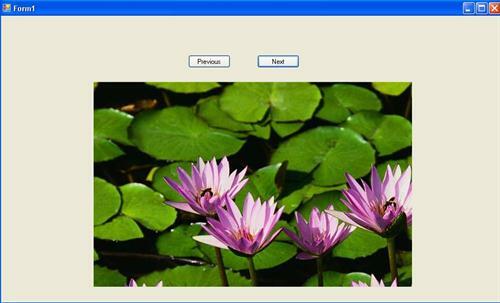 In this article I am going to explain about how to show all images from a specified folder with previous and next button in windows application. Here I have stored lots of pictures in the folder user view all images in the picture box. I have stored lots of pictures in the folder user view all images in the picture box . Providing Previous and Next options to see previous and Next images in the same folder. I hope this code snippet is help you to know about Display image from folder in picture box.